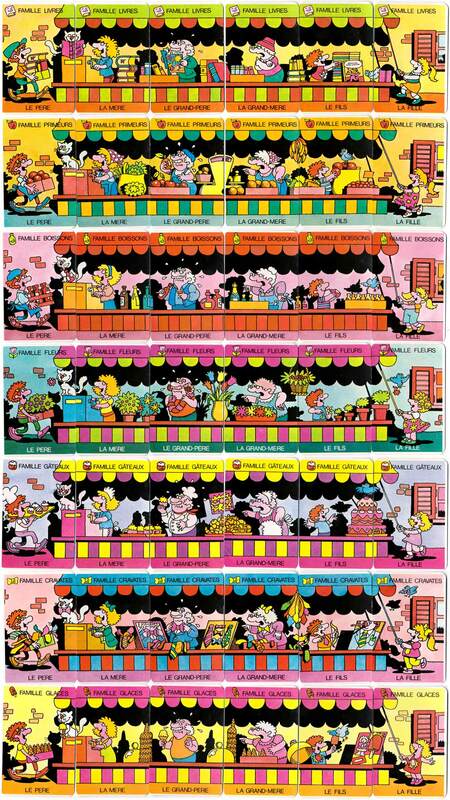 An attractive Happy Families type card game from France with seven sets of extended families each with 6 members: Son, Daughter, Mother, Father, Grandfather, Grandmother. The cards can be aligned to show the entire families working in the marketplace at their respective trades, thus illustrating how the generations get along together! A closer examination reveals that it is the same family in each case, practising a different trade: booksellers, grocers, drinks, flowers, cakes, ties & ice cream. The till is always operated by the Mother in the family and a little blue bird plays with the children. 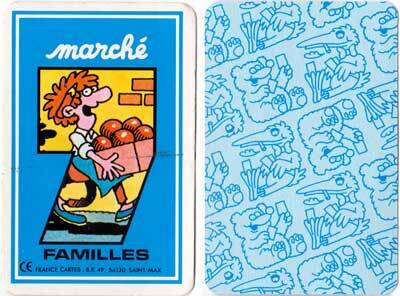 Above: “Marché 7 Familles” Happy Families card game (and rules) published by Ducale (France Cartes), c.1985. 42 cards + title card + rules. 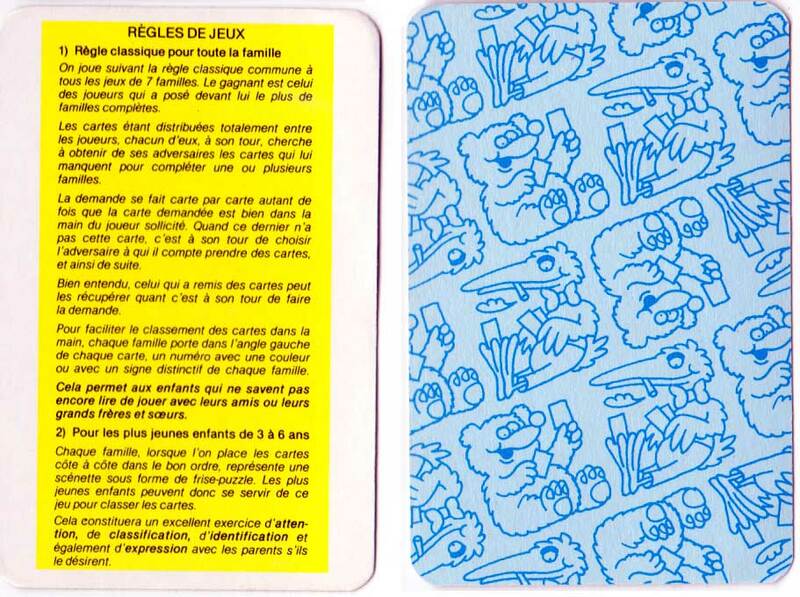 The reverse shows blue nursery animals playing cards.